In 1891, Fink and Klenze report that the few who were able to read and write represented the people before officials. The first schools were founded, i.e. donations or farming rights allowed for the children to be taught for free. Classes took place as long as the interest of the foundation’s capital was sufficient. This systems worked without any intervention from the state but merely from the populations own drive. The eldest account for a school is from 1642 when the principal Christian Jochum is said to get married in Mittelberg. In 1683, Johannes Elsässer, blacksmith in Bödmen recounts that he started school on 11 January with 36 other school children. 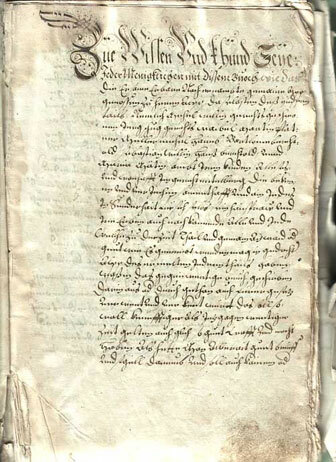 There is a document from 1716 from the school in Mittelberg about the one in Hirschegg saying that the school’s capital was donated and the children had to be taught free of charge. With the enactment of 20 October 1781, the state startet intervening in the schooling system. From 1788 on several schools were found. In 1891, the municipality Mittelberg counted seven schools in Baad, Bödmen, Mittelberg, Hirschegg, Riezlern, Wäldele and Schwende. In 2006, there are primary schools in the localities Mittelberg, Hirschegg and Riezlern whereas the latter also contains a secondary as well as special school.